If you missed your flight because you weren't informed about a changed departure time, you may be able to make a claim against the carrier. If you were delayed or couldn't catch your flight, you can get affordable advice from Which? Legal on what you might be able to do. Airline terms and conditions often state that clients will be made aware of any changes to the flight times or dates. You could then argue that it hasn’t taken reasonable steps to inform you of the changes and so has breached the terms of the contract. If a travel agent has booked your flights, it is likely to be acting as the airline’s agent. So, if it's the agent who is actually at fault by forgetting to pass on details of the flight changes, you could still make your claim against the airline. If you're on a package holiday and you miss your flight because the transfer arranged by the tour operator didn't get you to the airport in time to check in, it's up to the operator to get you on the next flight at its own expense. If you miss a flight and it is not the airline’s fault, the carrier isn’t required to help. So whether you missed your flight due to traffic hold-ups, public transport delays or strikes on the way to the airport, or because you hadn’t realised how early the check-in deadline would be, it has no duty to put you on the next available flight or offer any other form of assistance. Even if the reason for you missing the flight is a ridiculously slow and long check-in queue, the carrier will not be legally responsible. Passengers must arrive at the airport early enough to allow plenty of time to check in, although airlines are often good at fast-tracking later arriving passengers stuck in a check-in queue. Allow extra time during public or school holidays. If the airline does offer to schedule you on to the next available flight, you will probably incur a penalty charge, particularly if it was a restricted – rather than full-fare – ticket. If you miss the outbound flight, the return leg will automatically be cancelled, so don’t think you can book a one-way flight and then expect to board the original return flight. This is standard practice with airlines and appears in most terms and conditions. Air passenger duty (APD) is a tax airlines pay to HM Revenue & Customs (HMRC) for each occupied seat when a flight takes off from a UK airport. This is usually charged to customers at the time of booking, which means if you don't fly, you can claim the tax you paid back from the airline. But many airlines charge an administrative fee for this service, so it could cost you more to claim it back than how much it cost in the first place. A handful of travel firms may automatically refund the cost of APD to the credit or debit card used to purchase a holiday. Others insist on you filling out online forms to reclaim your money or contact their customer services centre. 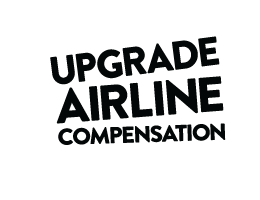 If you believe you have a claim for APD, you should contact your airline or tour operator to get your money back. Most travel insurance policies will include cover for missed departure. This should cover any travel expenses you incur in reaching your final destination. The maximum you can claim for this can vary though, from £250 to £1,000, and the insurance provider is only likely to pay out on evidence of a ‘valid claim’. Policies will vary as to what constitutes a valid claim. For example, most insurers will pay out if you have missed your flight because of a problem with public transport, or your car has an electrical or mechanical breakdown on the way to the airport. But some of these won’t pay out if the reason is that you were in a traffic jam in your own or a rental car, and some will only provide cover if the car is involved in an accident. So check the small print of travel insurance policies to see what each excludes and includes. Will it pay out if the reason is adverse weather conditions or industrial action (assuming the strike had not been announced before you booked the trip or the insurance)? Will it pay out due to a car breakdown without evidence that the car had been serviced and maintained properly? Will it provide cover if you are ill and cannot make the flight, or if a member of the family is ill?